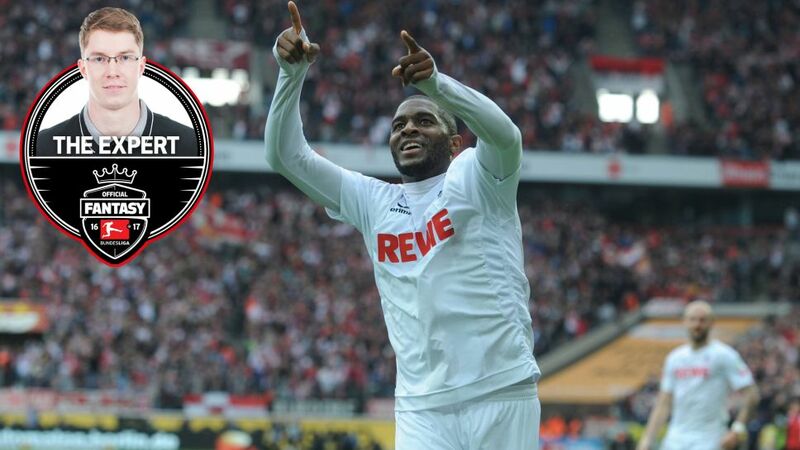 Modeste's brace against FC Ingolstadt 04 took him to the top of the scoring charts on seven goals. All three insiders hauled in a respectable number of points on Matchday 7. Matt led the way with 105 points to win the week, while James was close behind on 103. In third was Flo, who was just two under the magic number of 100 points on 98. Still, our scout holds down an overall lead of 25 points. All three insiders had planned to play Guerreiro, and had to react quickly upon finding out he would not be able to play. James’ solution worked out best: the coach brought on Jean-Philppe Gbamin, who earned 12 points. Matt went with Jonas Hector (9 pts), while Flo played Frederik Sörensen (8 pts). Not too shabby all around from the guys - they’ll have more to say over the course of the week. Not playing Official Fantasy Bundesliga yet? Come on, Get in the game!